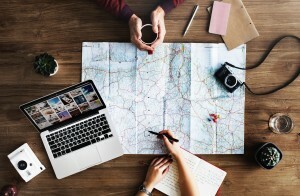 Vacations are a time to relax and have fun, but travel can quickly unravel due to unforeseen disruptions; including travel delays, medical emergencies, and crisis situations. There are ways to prepare and prevent any interruption while on vacation. Keep cultural differences in mind when choosing what clothing to bring. Research local customs about skin exposure and colors. Limit jewelry and other valuable items. It is best practice to leave valuable jewelry at home. While there are certain documents you will need to bring, make copies to leave with a trusted friend or family member prior to departure. You can also scan and save important documents online to help ensure instant access in the event they are lost or stolen. Only rent a car if you are familiar with the terrain and local traffic laws. Be sure to map your destinations ahead of time. Confirm your current Auto policy coverage and expect to purchase additional coverage if necessary. When available, have your hotel arrange your transportation needs. Taking a taxi is preferable to public transportation. Always stay aware of your surroundings. It can be tempting to post trip highlights while on vacation. However, doing so can put you at risk. It may alert local theives that an unsuspecting tourist is nearby. It may also send a signal to other criminals that your residence is unoccupied. Also, be aware of unsecured wi-fi connections offered locally. If traveling with small children, be sure they know their address and phone numbers before heading out for the day. Tucking a note in their pocket with your hotel and embassy information can also add extra protection. To learn more about personal insurance coverages while traveling, visit Hanover.com.